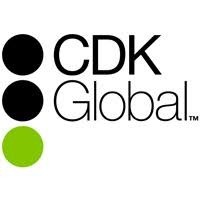 With more than $2 billion in revenues, CDK Global (NASDAQ:CDK) is a leading global provider of integrated information technology and digital marketing solutions to the automotive retail industry. CDK Global provides solutions in more than 100 countries, serving more than 27,000 retaillocations and most automotive manufacturers. CDK Global’s solutions automate and integrate critical processes from pre-sale targeted advertising to the sale, financing, insurance, parts supply, repair and maintenance of vehicles, with an increasing focus on utilizing data analytics and predictive intelligence. From data scientists to sales and operations experts, we’re hiring to support your growth and ours - Green light your career. CDK Global, LLC seeks Software Engineer III at our Hoffman Estates, IL location. Responsibilities: Design, develop, and test application services and components to engineer the next generation of enterprise class software solutions. Perform a key developer role in the development of enterprise software solutions encompassing: services and service layer, service integration to UI and data, 3rd party integration, refactoring current applications. Deliver world class, high quality design and code. Employ agile methodologies including TDD, CI, Refactoring and Code Reviews to complement and complete the development process. Collaborate with team members, architects, and product owners to deliver high quality software products to our customers utilizing agile toolsets, such as JIRA, xUnit/JUnit, Nolio, and Selenium/WebDriver. Bachelor's degree in Computer Science, Computer Engineering, Electrical Engineering, Mathematics, or a related field plus five (5) years of related experience. Employer will accept a master's degree plus two (2) years of related experience in lieu of a bachelor’s degree plus five (5) years of related experience.